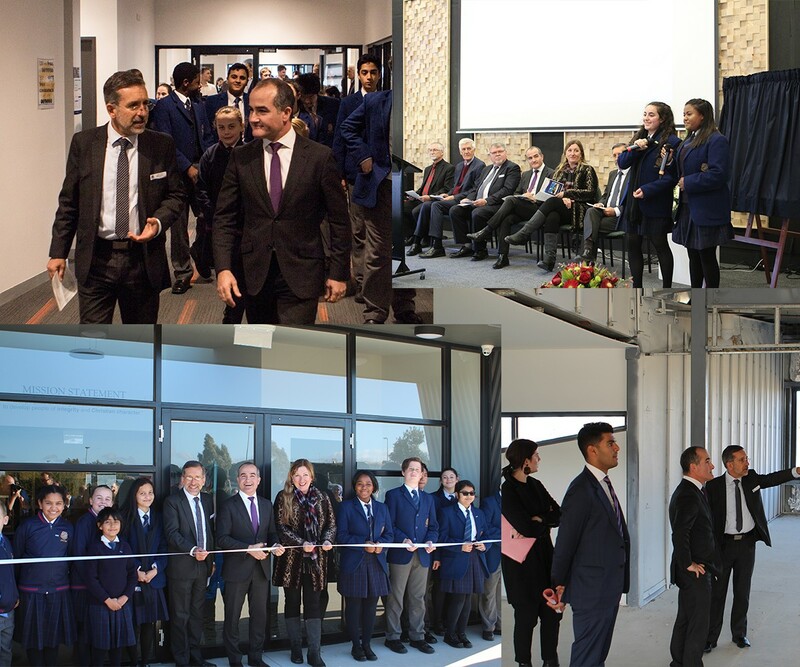 On the 18th of July, Gilson College, Mernda Campus, hosted the Deputy Premier and Education Minister, The Honourable James Merlino, who opened the new Secondary classroom and library block. Mr Merlino was particularly keen to open the block as the State government contributed almost $1 million dollars to the $3 million project. As part of the opening, a group of students presented a musical item which they had composed. The completed ground floor of the two storey building comprises a library, five classrooms, toilets and change rooms. The upstairs section which will be completed at a later date, allows for a further eight classrooms to be fitted out. Both the principal, Mr Mark Vodell and the Director Adventist Schools Victoria, Mr Brian Mercer were determined to see this building completed from the unfinished structure left from Acacia College. “Each day thousands of cars pass the school and completing this building is a promise to the community that Gilson Mernda is here to stay…” said Mr Mercer. Gilson Mernda now has almost 200 students (Prep to Year 11) in attendance and commences Year 12 in 2019. The next project for development is an Early Learning Centre which is planned to be built in 2020.